I have no objections against bling bling earrings. Gowns? Fabulous. Fancy diamond necklaces and tiaras? Absolutely magnificent. As a dad with two young daughters, I realize that these are the things that make little girls giddy. Unfortunately, this is the culture we have created in homes across our country and the world. The current princess paradigm espouses a life of glamour and riches for would-be princesses, who are rewarded for their porcelain and flawless beauty with a marriage to a strapping royal heir and a life of leisure. Princess culture is about placing beauty above brains, dependence on a husband above earning a living and making a difference in the world. The antidote to this situation, however, is not militant counterculture for elementary school girls. We don’t need to eschew all things that are beautiful or glamorous. Just because a girl wears a gorgeous gown and exquisite jewelry doesn’t mean that she’s vapid and a gold-digger. To the contrary, we will break down the insidious nature of the current princess paradigm not by vilifying all aspects of it, but rather by embracing what is cute and endearing while inserting elements that are more positive and empowering. Is it okay to wear a glittering tiara and pearl earrings? Sure, but make sure you’re out saving the world or getting an education while you do so. Is it okay to be a princess? Absolutely! But it’s better to be a princess who saves the prince, rather than the other way around. Moreover, we need to rethink how princesses are role models. Boys have heroes who leap tall buildings, fight evil, and save the world from destruction. What do girls have? Role models who fall asleep after eating apples and are only saved by a prince’s kiss. This is nonsense. We need to let girls know that princesses can be saviors, as opposed to always being saved. 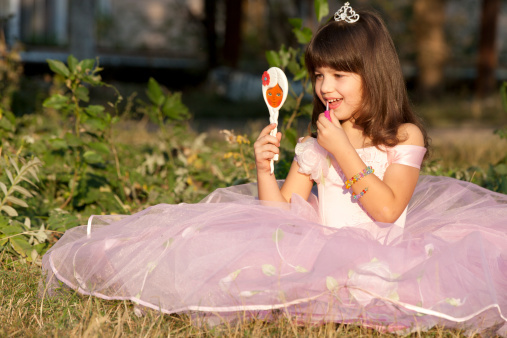 We need to create princess role models that inspire girls to greater heights. Also, who says a princess needs to be “royalty” per se? Let’s anoint princess status based on merit and accomplishment instead of birthright and marital connections. Sure, marrying the Prince of Wales can make a girl a princess. But let’s say that starting a school for girls in Africa makes a woman a princess. Or becoming a physician and helping the underprivileged with healthcare makes a woman a princess. Or how about balancing a career and motherhood makes a woman a princess! I’m okay with my daughters indulging in the adorable and charming aesthetics of princess culture. As a parent and responsible adult, however, my responsibility is to accommodate this indulgence while juxtaposing it next to worthwhile endeavors. Being a princess can be about strength and independence, and not about waiting around to get married. We are at a wonderful crossroads where girls have more opportunity than ever before. This is not a time to follow the weak princess paradigm further, but it’s also not a time to become belligerent against a culture that has many redeeming qualities as well. This indeed is a time to embrace both sides and develop a new paradigm that is at once delightfully pretty and fiercely freethinking. Let’s choose adorable outfits over barren aesthetics, but let’s also choose examples of empowerment over traditionally weak female role models. Grab a tiara. Grab some fancy jewelry. Grab a pair of sparkly shoes. And then use these pretty things to shatter the existing princess paradigm! We need to reinvent the way our culture embraces and balances beauty and strength. When we do so, we’ll contribute to the building up of the next generation of awesome girls and women. 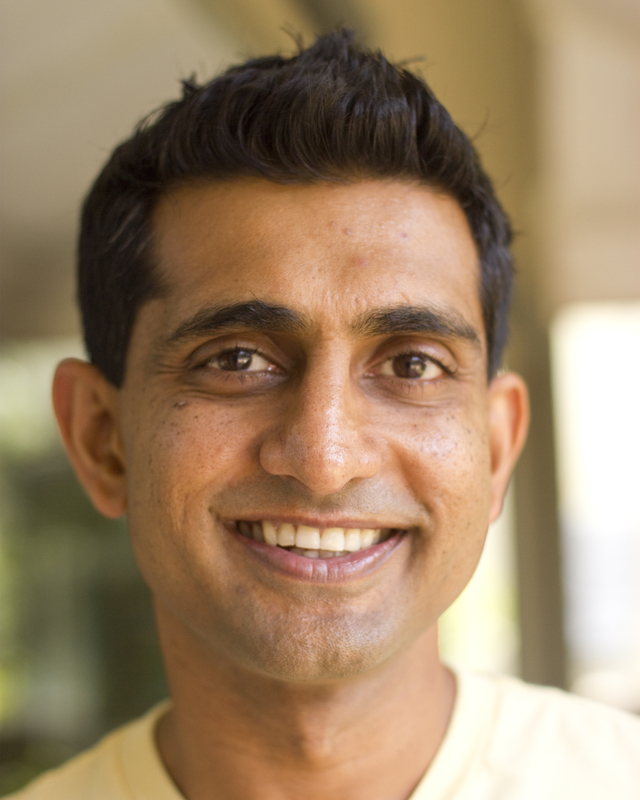 Sanjay Nambiar has written several award-winning books, including "The Super Duper Princess Heroes: How It All Started”, "Maybe (A Little Zen for Little Ones)", "Still There? (A Little Zen for Little Ones)", and "Remember the Stars (A Little Zen for Little Ones)". Through his books, he hopes to inspire readers and convey positive messages to kids. Sanjay grew up in Carson, CA, where he overcame a gang- and drug-riddled environment with the help of a closely-knit family and a focus on education. He graduated with honors from U.C. Berkeley, with degrees in Economics and Neurobiology, and earned an M.B.A. from UCLA. Sanjay now is a freelance copywriter and lives with his wife and endlessly energetic identical twin daughters in Los Angeles, CA, where he sometimes bemoans the monotony of the pleasant weather.